Is a Mid Facelift different than a Facelift? I have heard about the new mid facelifts. 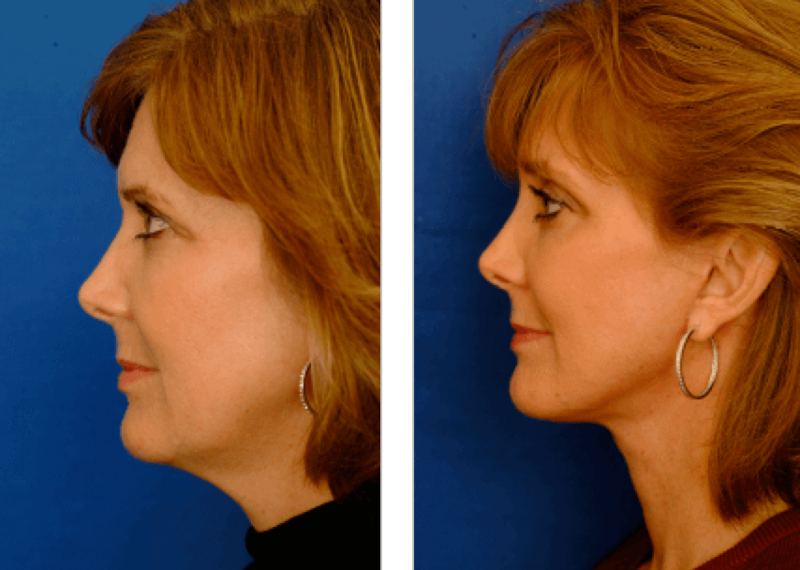 How do these differ from a standard facelift, and which procedure is better? Mid facelifts in Newport Beach are relatively new but we have been doing them for 10-15 years. Both types of facelift procedures are designed to turn back the hands of time but both address different aspects of the aging process. 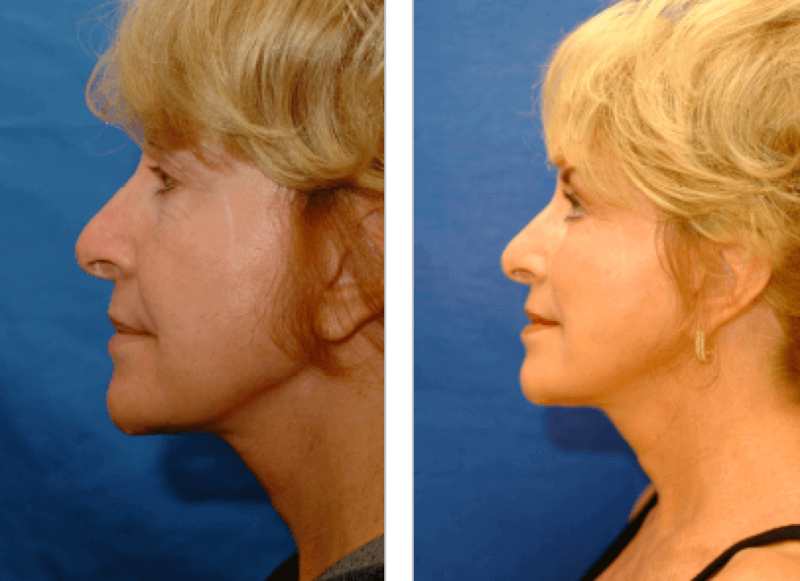 A standard facelift is still the ideal procedure to tighten a loose neck and to help with jowls. You are correct in saying that the mid facelifts are relatively new procedures, but they address an age old problem – drooping and hollowing of the cheek areas below the lower eyelids – creating a so called “tear trough” deformity. These mid facelifts can be done as an isolated procedure to freshen a face in the late 30’s or 40’s that is showing the earliest signs of aging – or combined with a traditional facelift in an older person – or as an isolated procedure in an older patient who has had a traditional facelift but the midface was not addressed. One of the beauties of a mid facelift Newport Beach is that is can be done through short incisions that are hidden behind the hair line and through a tiny stab wound in the fold between the cheek and the upper lip, just large enough to let us insert a few very long needles, which heals without a visible scar. The mid face lift will not alter your jowls or neck laxity, so if these are an issue, a traditional face and neck lift will also have to be performed to achieve optimal rejuvenation. Facial rejuvenation is at the top of the list of the most common aesthetic surgical procedures performed here at Orange County Plastic Surgery. Most people feel physically and mentally vigorous and energetic long after their appearance has begun to deteriorate due to aging. A face, neck, brow or mid-face lift procedure is designed to provide you with a rejuvenated appearance. The degree of improvement achieved depends on the severity of the initial deformity, the age of the patient, tissue elasticity and the recommended procedure. (Actual patient of Dr. Bunkis) 47 year old female before and after midface thread lift with lower lid blepharoplasty, without a need for a traditional face or neck lift. (Actual patient of Dr. Bunkis) Similar aged, 47 year old female with neck laxity and jowls, not much in the way of midface laxity, before and after an endoscopic brow lift and facelift – no need for a midface here, and conversely, a midface lift would not have addressed the things that bothered her the most, jowls and neck laxity. (Actual patient of Dr. Bunkis) 54 year old female a year after a traditional face lift done elsewhere, neck still quite tight, but complaining of midface and lower eyelid laxity. 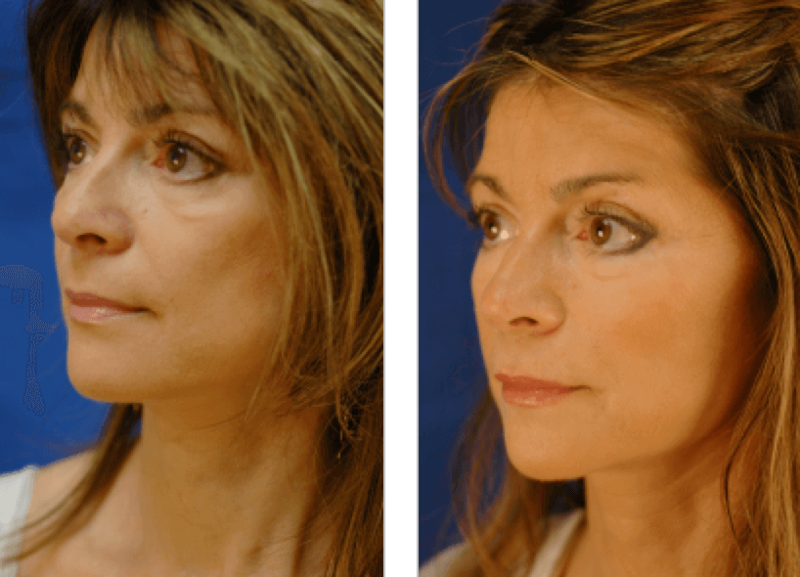 To address her concerns, a midface thread lift was performed by Dr. Bunkis to lift the drooping cheek tissues next to the nasolabial fold, thus removing the oblique trough that forms across the cheek as people age, and giving her a nice and youthful cheek. This procedure also elevates the junction between the eyelid and cheek, allowing us to shorten the eyelid, adding to a more youthful look. The after photos, six years later at age 62, show that the improvement has been well maintained. It is important to seek a surgeon who is well versed in all of the options so that a customized plan can be developed for your concerns. Please feel free to call Dr. Bunkis at Orange County Plastic Surgery (949-888-9700) for a complimentary consultation so that we can lay out all your options for you.